A house or office cannot be complete without proper lighting. This means that lights are essential components that should never be ignored in any house or office. In these modern days of living there is no doubt that many people use modern fixtures to decorate their homes. Lighting is one of the factors to consider when designing your home. Need to transform the look of your house using modern and decorative lights? Aluminium pendant lights are the perfect lighting solution for kitchen, living room, bedroom and dining room. Pendant lights can stay for a long period of time without getting damages since they are made of high quality materials. Using pendant lights in the house makes the house owner feel more confident and happy. Searching for a shop where you can buy durable and affordable lights? 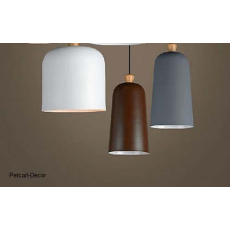 Count yourself lucky since Petcarl Décor shop is the place where you should visit. Bring a modern look to your home with contemporary pendant lights.